The Trophy Nut brand has been headquartered in the Miami Valley area for over 50 years. Currently, the Factory Store, manufacturing facility and shipping warehouse are located in Tipp City, Ohio. This amounts to 115,000 square feet of management, production, and distribution facilities. Being only minutes from I-75 and I-70 intersection gives Trophy easy access transportation for both incoming raw materials and outbound customer orders. The company began doing business as a privately held enterprise. It was later a subsidiary of Iroquois Brands before reverting to private ownership under the Jerry Allen family in 1978. 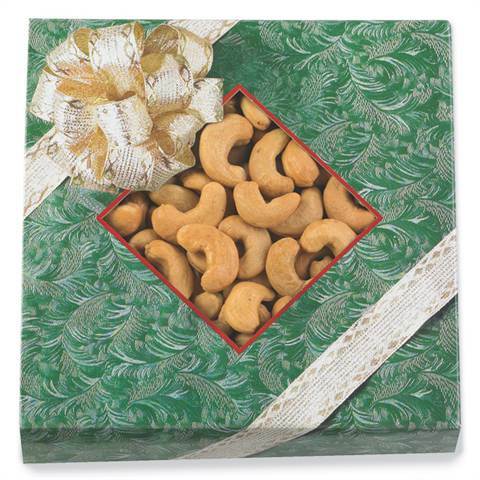 Trophy has been involved in all phases of nut processing and packaging over the years. Raw products are received from all over our country and the world and then roasted, dry roasted, Honey Roasted, or seasoned before being packaged in a variety of containers, such as jars, cans, bags, or gift boxes and tins. Additionally, chocolates and other candies as well as dried fruits, are received in large bulk quantities for use in our snack mixes or to be packaged to our customers' specifications. Trophy Nut introduced All Natural products under the Trophy Farms label in 2009. Our market segments include retail/wholesale including Natural Food Stores, fundraising, and a mail order catalog. We are an approved supplier for the military and the Girl Scouts. Please feel free to contact us or visit one of our retail locations.